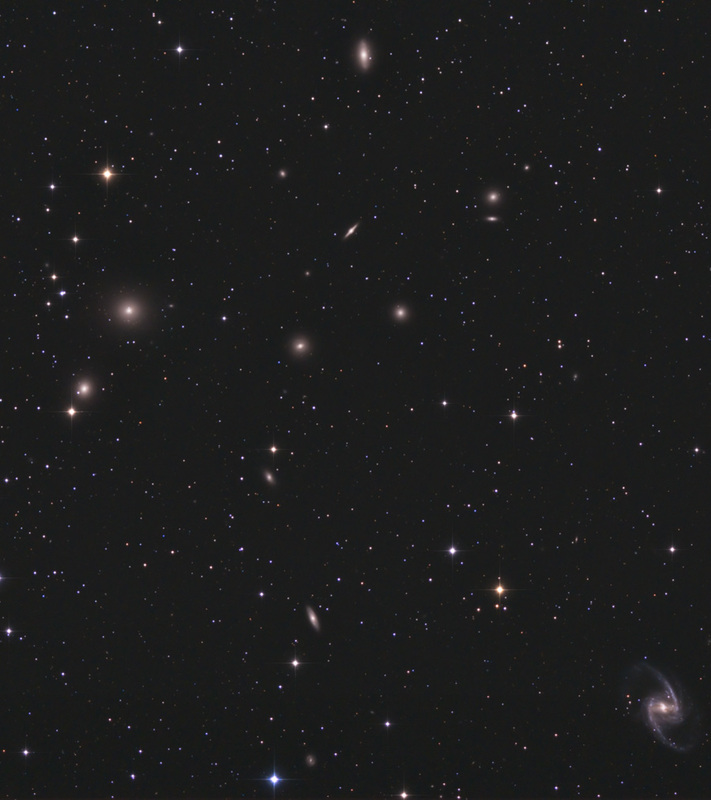 A cluster of galaxies in Fornax. 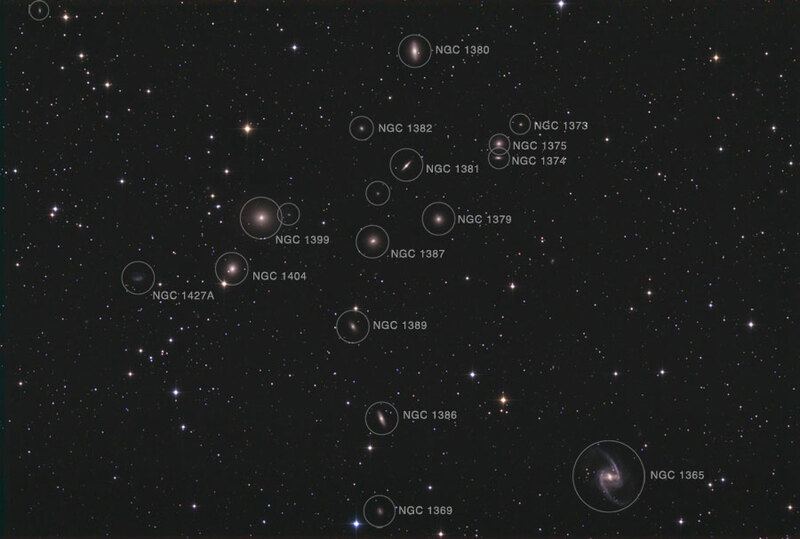 Click on image to toggle key identifying the brighter galaxies in this field. 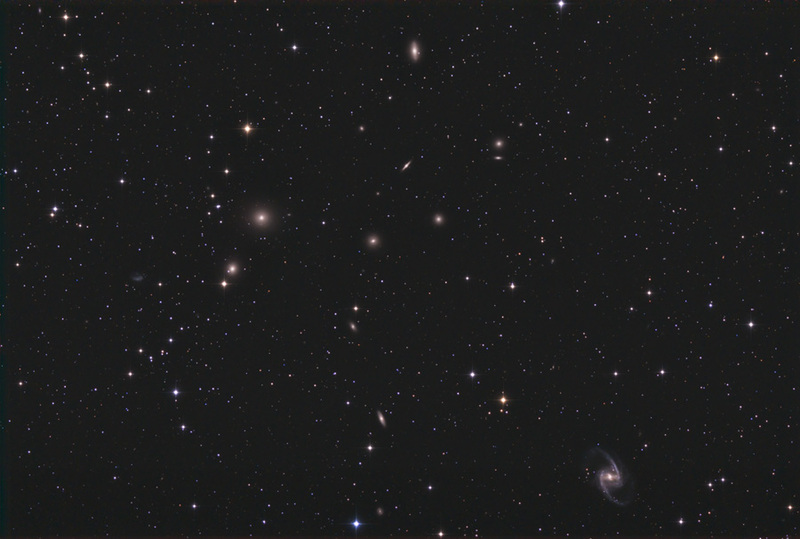 Below, a tighter crop: the large spiral at lower-right (NGC 1365) can be seen in greater detail here. Click here for a version at higher resolution (1.3MB).